K1 Kiting giving birth to flight from early ages to Wright Brothers' kiting. "A tangible kite energy case is how kite boarding has replaced water skiing using a ski-boat" Source. KECS kite energy conversion systems. See also: TWECS where KECS are a subset. ... a system in water or fluid or air that mines the kinetic energy of an item. Sometimes misapplied when the recovery is actually a conversion of potential energy into stored energy; when an aircraft is descending, then such descent might be used to drive turbine blades. KE-yoyo Spelling in presentation, page 5. Yo-yo method (power phase in reel-out; cost phase in real-in during changed tension from changed lifting-body changes). KG yoyo, KG-yoyo This uses the reel method where traction phase is a reel-out generating phase and where the reel-in recovery stage is an energy-costing phase; the gain is approximately the difference between the the traction phase and recovery phase. Recovery phase is lowered in cost by reducing the tension of the tether via reduction of the lift and drag of the tethered airfoil (kite). killability Spontaneous Launch Risk and "Killability"
Consider methods of stopping a kite system's operations. kilogram is 1000 grams. Units of mass. wiki Dimensional analysis: M for mass. an inspiration place for AWES? Kingfisher™ Aerostat A kytoon product or kite-balloon product. More balloon than kite. Southern Balloon Works, a division of Aerial Products Corporation. KISS principle wiki KIS "keep it simple" Keep it simple, Simon. Keep it simple, stupid! But Einstein cautions not to have it simpler than is needed! '''Kites''' are fluid craft composed of wings coupled by tether to a resisting source. When the wings are bridled effectively, and a net flow reacts with the wings and resisted by the kite's necessary resisting source (anchor, mooring, etc.) then a resulting lift and drag results to effect sustained flight in the fluid. Frequently, the wing of a kite is called "kite" while a wing alone is not the full kite. A wing alone might be a glider, but in itself is not a kite. A kite might consist of many wings, many tethers, and even many resisting elements. The stream flow where kiting actions occur may be artificial flow, natural flow, or apparent flow during a falling gliding kiting. The anchoring resisting the wing's lift and drag may be moving in many ways (earth rotation, human hand, tugging boat, another wing, kite-boarder's body, a falling payload, or a moving fishing pole. Fluid choices are not limited to air or water, but those are the most common fluids where one finds kites. See: "A kite is _______" "_____ is a kite." "_____ are kites." What is a kite? What is a kite system? David Barish: "if you want a wing, you need the lowest possible porosity. I determined the length of the lines came from the experience of kite-flyers who already knew all there was to know on this subject." Sourced interview. His sailwing was arranged into a kite format with kite lines and himself as the resistive payload; it was a kite; he ground kited it and then glided his kite. The wing's airfoil was patented as "glide wing" but the wing materialized for a kite use for kite gliding which he called "slope soaring." kite advertising See advertising for full discourse on many dimensions and aspects. kite arch or arch kite or kite arches AWES7291 Examine trivial cases and complex cases. Examine control issues, OSP issues, launching and landing issues. AWEification of kite arches; ground gen kite arch systems versus flygen kite arch systems; also consider hybrid groundgen-flygen systems. Examine kite arches as lifters as well as actuators. Notice the rotating ribbon kite is a kite arch. Skybow is one product showing this type. See George Peters Windbow. "non-rotating"
See rotating ribbon kites with and without battens. crosswind anchoring is such a powerful inherent-stability factor. Circa 2012. Another way of summarizing kite arch logic is that crosswind anchoring is such a powerful inherent-stability factor, that it fundamentally enables far larger more powerful unit AWES, particularly within a given land footprint and airspace volume. Circa 2012. Lifting WECS with kite arches is an ongoing experimental activity that began at WSIKF2009. Unit wings in a kite array or kite matrix are "kixels" (inspired by the pixel of a displayed digital image). to be 3d. Each kite will have one or more piezoelectric multilayer bending actuators. Notice that even a "spherical balloon" tethered employs some kiting dynamics, hence some of the stability challenges of later 1700s French balloons. Kite based wind interceptors Phrase used by Robert Copcutt. Leading kite blog for kite energy community internationally is AirborneWindEnergy in the Yahoo group space. All kite energy stakeholders are freely able to post their ideas, questions, progress, etc. on any issue that affect kite energy. KiteGen has a kiteblog for English. And /kiteblog/ for Italian. KiteEnergy is a space for public to post related messages. sotersrl Private. Messages are not open to the public. CoopIP, Cool IP, and FairIP Notes and essays and papers are welcome on topic. Public may respond. 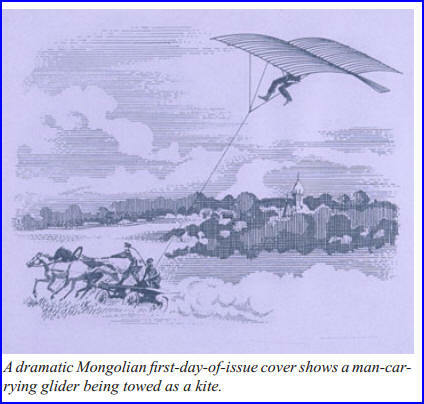 HangGliderHistory Notes are invited from all the world on kite hang gliding and its history. KiteBoat, kiteboat Boats moved by the wind energy capture from a kite system use either the tug methods or the conversion to electricity which electricity is then used to drive a hydro propeller. In both methods, the systems are energy kite systems and belong to AWE. The tug method occurs in microAWE, miniatureAWE, toyAWE, sportAWE, residentialAWE, commercialAWE, and utilityAWE. When the tug method reduces the use of coal and oil, then such notes are especially welcome KiteTug™ and KiteSailTM and KiteShipTM are some of the main players in commercialAWE that use wind energy through kite systems using the tug method for boats and ships to save on use of oil-based fuels. Differently is the KitVes project that feels a freedom to convert wind energy captured through an AWECS that converts wind energy to electricity that is then used for on-vessel works including driving the boat or ship in directions it wishes to go. Benjamin Franklin's legendary story of a pond tug of his body by kite may be an example of either sportAWE, toyAWE, or recreationalAWE. Miniature boats using miniature kites or kytoons example miniatureAWE tug method. Envisioned is a utilityAWE kiteboat where the kites or kytoons tug a barge that is saturated with hydro turbines that make electricity (perhaps to be used to make and compress hydrogen from water; the hydrogen would be transported ultimately to work sites). Anne Quéméré is exploring a second type kiteboat; her OceanKite effort to cross the Pacific Ocean was aborted; now her boat designer is going forward on another kiteboat. See her new blog on her planned trip from Peru to Tahiti. http://www.dcss.org/speedsl/gallery.html Dave Culp early kiteboarding photo is included where the board is a waterski, thus" waterskiing with kite as propulsion. kite camera KAP Camera positions in kite environments. Camera at mooring or resistive set. Camera on tether set. Camera on wings. Camera on ground. Stills. Motion. Purposes. Type 2: The kite system may have a car that travels up and/or down one of the kite system's tethers. Such car might be released for free-fall or free-flight or subsequent powered flight. This type includes kite-line-messenger devices. Type 3: A car or truck or automobile that is dedicated to kites, kite activity, or services to kite systems. One embodiment of this type is a personal automobile dedicated to carrying kite gear to sites for performance, research, or testing. Type 4: An aerial cableway that is kite supported may have cars on aerial lines that travel short or long distances. Type 5: Within a kite's wing, there may be tiny or larger cars on line or guide rails that move under passive or active controls to fulfill various functions within the kite's wing. Type 6: Within kite airborne architecture, there may be pathways whereupon a car may be driven by people or robots. Type 8: Joseph S. Kite and his inventive car.... maybe this is a Kite car. See his 1834 patent. A city fully welcoming kite flying may be referred to as a "kite city." A city of people living in the sky because of the kiting principle flying the city structure is a kite city. We have been covering such kite cities in kiting literature. Then later Tomas Saraceno gives focus on kite cities through his Solar Bell project for the new port being built in the Netherlands. The name simply of a city, perhaps not even related to the flying kites, but perhaps for a naming after a person with the last name of "Kite." See differently: kite trees, kite coteries, kite arches, kite clusters, kite trains and kite stacks. And kite cloud. Kitecyle, a company that is recycling old kite. Consider KiteRecycle. Two or three lined kite in no wind kept up by a cycling effort. See Faust and also Tri-tether by Santos for putting energy into a wing set from ground effort. kite-do tank See distinct kite-think tank. kite-down situation For any cause during kiting, when the kite system is down and not flying, then there is a "kite-down" situation. trees that seem to grab kite system wings and hold the wings tightly. Such trees are mentioned millions of times over each year around the world. home that dominantly uses energy provided by kite-energy systems; such a home might be energized by a wide-area grid which itself is energized by kite-energy systems. Or such a home could be independent and off-grid. A second notion is that the people of the home have high kite-related interests that motivate the people therein to live and work energetically and perhaps enthusiatically. Kiteenergy is a generic compound used to refer to energy concerns of kite or kiting, both in the energy felt in sport's use of power kites as well as energy obtained by a kite's conversion of the kinetic energy of a flying kite. Kite-energy applications | Put kite systems to work to fulfill tasks and purposes. Kite-energy fundamentals What is a kite? What is the kiting principle? Kites in in any fluid (e.g., water, air, plasma, soil, sand, gravel, light, ). Kite as a combine of resistive set, tether set, and wing set. KiteEnergy is a title of folders in various web sites. Kite Energy Journal Published by KiteEnergySystems: Kite Energy Journal (KEJ) is an international forum for the dissemination of research into, and applications of, kite systems put to work. Papers published in Kite Energy Journal have undergone peer review to ensure originality, relevance, and timeliness. The journal thus provides a worldwide, regular, and comprehensive update on kite energy. KEJ is presently distributed throughout the pages of EnergyKiteSystems.net and its associated open research forum AirborneWindEnergy. Kite-Energy Farms Association (tm). KEFA is a non-incorporated association, a member of AWEIA International. KiteEnergy.Com and Soaren and Soaren Financial and Soaren.Com These are trade names of Wayne German, AWE visionary and consultant. See Tethered Aviation The domain KiteEnergy.Com is being parked as of May 2, 2010; Created on: 23-Feb-2006. Similar site: KiteEnergySystems.net where kite-energy matters are in high focus. 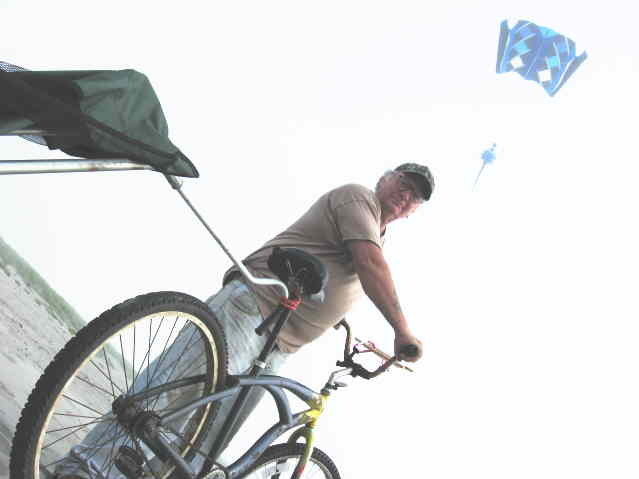 KiteEnergySystems is a trade name of publisher Joe Faust. http://KiteEnergySystems.net is alternate domain directed to EnergyKiteSystems.net to emphasize the "energy" gained for use in special works from kite systems. kite-energy system labor KESL The people working to design, make, install, maintain, and operate KES form the "labor" of the technology; the variety of skills needed is a factor in bringing KES to wide use. kite farm [ 2003, BMatthews] Many energy kite systems in one area are a kite farm. kite farms are farms that grow bamboo and reeds for making kites. Kite-energy farms or energy-kite farms have a collection of relatively independent AWES; however, control and communications may integrate the individual units for energy smoothing, airspace control purposes, and other matters. See also Energy-Kite Farms Association (EKFA). Our growing list Increasingly AWES will be demonstrated at kite festivals around the world. Sport AWE will develop. Energy kite events will be competitive. "grounded kites" "Using Google Earth and aerial photographs taken in the 1920s, Kennedy uncovered over 2000 "kites" throughout the Arabian peninsula. These stony structures, each with a number of graceful "tails", were used as animal traps." Quote source. Kite For Sail, company has been full subsumed by Pacific Power Sails, which see. Snelson calls 2 struts the "kite frame," Not a tensegrity by Snelson. Kite frames more generally are from one or more struts. Kite frame of a two strut Scott Sled kite have the two struts as ribs of the airfoil that forms upon kiting action. Eddy kite or Malay kite or cross kite has two struts that touch, assuming straightness for strut. Explore alternatives. "If you allow me a little note on this point, I remember that I had proposed the name "kitegen" to Massimo Ippolito a few years ago. Before, he had called his idea "KiWiGen" ("KIte WInd GENerator) - which sounded like something made in New Zealand or sold in the vegetable market. Ippolito agreed with me and from then on we started using that name. At that time, Mr. Fagiano and his coworkers at the Politecnico di Torino probably didn't even know that such a thing as AWE existed. "DISTINCTION: "The name “KiteGen” has been coined at Politecnico di Torino, well before the foundation of KiteGen Research s.r.l., and it has been the name of the first research project, funded by Regione Piemonte and coordinated by Politecnico di Torino, aimed to investigate high-altitude wind energy using power kites." ~~ Lorenzo Fagiano in his Ph.D. thesis, which see. KiWiGen Carousel , circa 2003 forward. See: http://energykitesystems.net/KiteGen/2003meeting56pages.pdf A high focus is on some proprietary software for controls. kite gift, kite gifts. See cousin: Gift Kites. Who has been consider a "kite god" or "kitegod"? The term has been used for non-kite-world matters. In sport kiting, some athletes are considered kite gods. In historical kiting, there seems to be some persons that sit on Mount Olympus with their kite contributions. Some people declare themselves as kite gods. Some people have been acclaimed by others as kite gods. kiteham, kite ham, kite ham radio operator, ham radio operator using kited aerials or antenna for sending and receiving radio signals. See: KHame, antenna, Note: A separate arena is the control of kite systems by use of radio waves where the kite system is operated by sensors, radio signals, reporting sensors, etc. in Los Angeles, California. Mount Washington apparently has a second name. A hill that may be familiar to local kitists that is good for kit flying or kite hang glider flying. "Let's go to Kite Hill today." Name of a web site and company that makes artisanal nut-milk-based cheeses. Parent company is Lyrical Foods. [ ] Inquiring about genesis of the name. kite information Information held by a person or machine at a particular time and place about kites or a kite is kite information. Kite information may be adequate or not for a certain purpose. Kite information may change. See information science and then apply such to information involving kites. All large AWES shall incorporate passive kite-killers that engage instantly in a kite break-away. kiteless Having not kites when otherwise one might be with kites. Page 52. Kite Lines, the periodical succeeding Kite Tales (Robert Ingraham). AKA. Kite Lines followed the twelve-year old Kite Tales. Kite Lines, Vol, 1, No. 1, Spring 1977, editor Valerie Govig. A kite has a wing set, a tether set, and a resistive subassembly (set of elements). The tether set tenses as a result of the wing set's kiting action couple through the tether set of kite lines to the resistive set that may be anything that results in the tension in the kite lines; thus the resistive set might be the rotating earth, a vehicle, a falling mass, a payload of a gliding kite (paraglider), a human hand, a kiteboarder's board and body, a horse, a winch, a rock, a wing deflecting to give resistance, etc. A powered shuttle: AeroKAP II Shuttle Camera Perspective Fuel? Electric? Noise? kiteline wear, kite line wear. Kite lines wear from reeling, drumming, pulleys, bending at terminals, capstan operations, solar radiation, moisture undulations, tension oscillations, thermic attacks, chemical attacks, grit, handling, etc. Rapid wear, low wear, high wear, Inspection, logging use, testing, and careful engineering belong to kite wear concerns. Manufacturing lots are to be recorded for safety-critical AWECS use of kitelines. Wear sections and line jackets are example responses for kiteline wear for sections that pass through machinery or special damaging environments. kite locators Where is the wing#34 right now? Wing#46 right now? kitemaker one who makes kite systems. However, they might just make the wing for kite systems. Often kitemakers are not commercial manufacturers. Larry Niven's N-Space included "Kiteman"
Local kite leaders sometimes get press refering to the kite person as "kiteman" the "kite man" of some city or territory. kitemare --a kite challenge that tends to give one a nightmare. kite messenger A long and deep culture within kiting involves using kite tethers as a means for transporting messages, objects, parachute models, gliders, entertainment bags, etc. Advanced AWECS consider having "messenger" being such as gondolas to transport people, products, tools, water, chemicals, skydivers, hang gliders, batteries, etc.. The "messenger" might be sailed up and down the tether. The "messenger" might be a powered climber that is powered by electricity made by the very AWECS on which the messenger travels. Other schemes are being examined. See also HERE. Ordinal kite numbers would be assigned at some weather observatories. In a kite train, the sequenced wings have been assigned kite numbers. In some kite contests kites would be given kite numbers. The parameter numbers belonging to a kite systems are the set of kite numbers for the kite system. The L/D of a wing in a kite system is a popular kite number. The largest dimension of a wing in a kite is a frequent number, either tallness or wing span (WS). The area of a kite's wing is a kite number frequently called out in discourse. A kite will have a range of kite numbers related to each parameter. Some kite numbers are with dimensions and some are dimensionless. Kite Number :: minimum wing loading divided by maximum wing loading. DiscussHere. "Kite of kites" may be a status expression where some hierarchy is extant. Paramount kite in value or prestige. kite paper may refer to an essay or report about a kite matter. ProjectB incomplete Open public discussion of each patent or patent application. We seek other projects that make it easy to see patented kite technology. Help is requested toward bringing forward patents from each nation. 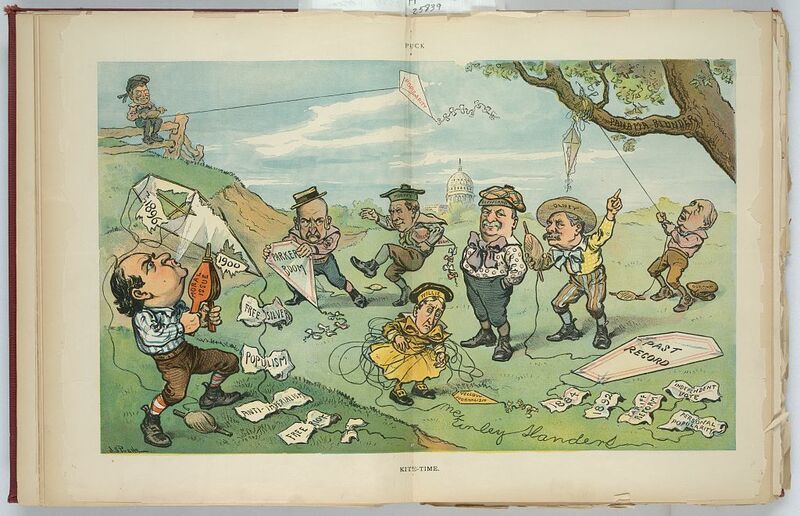 Ed Grauel effort over German kite patents. Draft List of Advanced Kite Physics Principles by Dave Santos, November 19, 2012. "Preface- This is a short list of specialized physics concepts unique or new in application to AWES and kites. Many scientific principles apply that are too obvious and general to include (like F=ma). Some kite facts are so basic and well established they might be considered Laws, many others range into secondary axioms and theorems, and some are bold curious conjectures that may or may not matter greatly in a future perfected engineering science. The evidence for these Principles is diverse and includes expert empirical knowledge, gedanken, experimental data, and calculated predictions." kite placing Use kites as cranes to place object. The wireless Internet might increase the nomadic count from the now 30-to-40 million people. Add kite power to the nomadic way? Notes are requested. Tents, wraps, clothes, etc. may double as kite sails. Combine kite power with solar power via fine integration with nomadic textiles? kite power plant :: Wind-energy plants that use kites to reach and help mine the upper winds. kite power system, kite energy-mining systems. Distinguish between a power system that is powering a kite system from a system that is a kite system that is purposed to capture energy from the winds. kited vehicle has axled generator of electricity or water turbine; as needed, the vehicle is occasionally driven by the stored electricity. Benjamin Franklin described kite propulsion in a kite pulling his own body across water body. kite quiver One's operational container of kite systems. The term is sometimes accepted as representing the collection while the containment is left in focus. A quiver (as container) may be designed to aid in the launching of a kite train. The train's wings are held in an organized manner in the quiver. Letting out (out of the quiver) the wings of the train can be aided by the quiver's hold. Quivers may hold one or more kite systems or just the wings of the kite systems in order to give choice to the kite pilot(s). Choice may regard purpose or wind state or venue. one-kite quiver, two-kite quiver, three-kite quiver, etc. 20-kite quiver. kite quiver (distinguish from the container or collection) may regard the shaking of a kite wing. Slight motion of the wing. kite pump KitePump See also AWE irrigation system. Kitercise There are many ways to use kites for exercise. kite rotor Carl B. Chupp in 1936 described the autorotating blades of his gyrokite as "kite rotor" And "freely revolving rotor"
kite running, kite runner, kite runners Kite running and running kite systems has its many hazards. Be ready for several meanings of "kite running, kite runner, etc." In kite fighting and other specialty kiting activities, one who runs to get kite wings that have fallen from the sky for some reason, may be said to be doing "kite running" and during such office being a "kite runner." "Lootera" ... famous kite runner. Book: Kite Runner advance the fame or infamy of kite running related to kite festivals and kite fighting. Movie: Kite Runner. The long standing option to run holding a kite string with its kite wing(s) is a form of "kite running." This is done with more than one reason. One may run with a kite for exercise of the running with the resistance of the wing; this is frequently done in track & field training sessions, often with the kite wing set being of very low lift but with high drag, often a parachute. Others have run kites while the wings or tethers carry advertisements. Others run the string set and wing set of the kite system in order to get the wings into faster upper wind; this is a form of kite launching. Or in calm, kite run just to get the system flying at all. Others kite run while meditating how their body is the anchor system of an aircraft system, which is true, and how they are flying; the running adds a heighten sense of being the motor of the flying that is occurring. Some do this as part of "wing running" in preparation for hang gliding, ground skimming, paragliding. Another form of kite running regards assisting in launching large kite wings or large kite trains; the kite system launch sometimes need people to run sections of the system or run to inspect parts. Kite Information and Technology Exchange Society of America since 1960s has served kiting, manned kiting, hang gliding, and airborne wind energy systems since the 1960s. Founding member of AWEIA, founding member of KiteLab Group, founded United States Hang Glider Association, founded Low & Slow periodical, founded Hang Glider magazine as a weekly, founded HangGliderHistory.com with its timeline, founded Self-Soar Association, operates KiteLab Los Angeles. Any innovation in kiting and hang gliding that stems from KiteSA are placed freely into public domain for anyone to use personally or commercially without reference or attribution. KiteSA identified an early instance residing in the year 1908 in the territory of Breslau of the free-flight pilot-control mechanical construct of the cable-stayed triangle control frame (TCF) with hang glider pilot tethered behind the TCF; in each decade since the TCF was used in aviation in various ways; the TCF secured a sector of hang gliders as true free-flight kite systems with the pilot being the moving mooring base of the kite's tether during the gliding and soaring operations. KiteSA founded EnergyKiteSystems.net , energykitesystems.net , KiteEnergySystems.net , CupKites.com , StyroFoamKites.com , group AirborneWindEnergy . and HGAusa.com Current strong focus of KITESA regards bringing AWECS into rapid development and acceptance in both water and air. AWECS is airborne wind energy conversion systems where methodology has clear mechanical similitude in water dynamics and water-air dynamics. RAD refers to Rapid AWE development, Rapid AWECS Development. RAA refers to Rapid AWECS Acceptance. 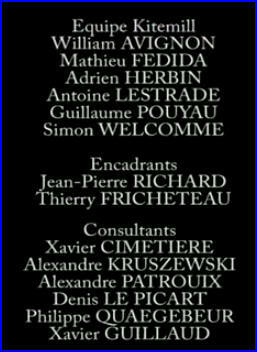 Temporary coordinator for AWEIA during its current founding process in 2009. (de-power devices, chicken loop, kite releases, kill lines, downing lines, over-power response systems, sail-self-reefing, remote control gliding of detached wing, wing-spoiling devices, etc.) Larger AWES will have safety concerns for line handling, anchoring, alerts, programs, etc. Kite Sail System MORLEY TETHERED KITE SAIL PROJECT AyrsMsg with grant from the Howard Fund. 2010-11.. Mike Howard. First: Static Demonstrator. One ref: Catalyst. Various sorts of skates are worn by a human while kite pilot operates a power kite to travel over ground suitable for the skates used. Ice skates, grass skates, in-line skates, etc. "Within two years he was using his own resources, building large kites, and about 1880 he was lifted off the ground by an array of such kites." kite-string gash, kite-string cut, kite-string injuries, ikte-string incidents. time to fly kites is a "kite time"
Ski-kite by JD 1963-68. Stopped. Infamy because of false "invention" claims. FreeKiteSim root: TUDelft. License: LGPL "Free Kite Power System Simulator"
kite soaring Manned use of slope updraft in a free-flight gliding-kite system; the massive anchor is falling; the reactive wing has its lift and drag; the tether couples the system's falling anchor with the wing, so that the kiting principle results. The same kiting system mechanically provides resultant paragliding and kite hang gliding with a window of gliding and soaring opportunity. When the falling anchor is advanced to be an effective wing itself, then another free-flight opportunity opens: that of playing the lower wing against the upper wing while the two separate wings are in significantly different winds in order to effect free-flight travel. Then when the two-wing system of long tether is further configured, onboard RATS may mine some of the dynamic energy of the apparent wind over each wing ---and save the energy for gifting others or in-system electric needs. These systems may be expanded by treating upper wing as a set of wing elements and the same for the lower wing into a wing set of many elements; and the tether may go into being a tether set of many elements. Small or very huge systems of free-flight kite soaring systems are possible; and the AWES from RATS in such free-flight realm is possible. Gleitschirm Soaren, Start von unten Let the kite help hike to launch point; then kite soar. kite taxi AWES taxi, kite system taxi, kite taxi, take AWES wing to upper airs and then release. The taxi aircraft returns to base for next duty. In AWES7467 BobS recommends helicopter drones for AWES taxi service. kite-think tank See distinct kite-do tank. kite turbine Notice that the conventional simple kite is a turbine itself as the wing rotates around its mooring, even if the rotation might be left-right or random pathing about the points of an imaginary sphere. A kite system may advance in being a useful turbine in many ways. Note the discussion between Dave Culp and Joe Faust about a kite being a turbine. http://blog.makemytrip.com/storage/kite-flying-in-sky.jpg One train with top lifter. Next is the pulling of boats and ships using kite systems. Then coming are kite-supported and kite-driven aerial cableways to transport goods and people. Artificial wind with ground tugging vehicles using kite lift for transporting odd-shaped or large shaped objects is an optional. AeroKite is concept toward FF-AWE and flying by kite system using two kite sets, one in one wind and the other set in a wind with differences from the wind of the other kite set. KITESA, Lift (e-zine), KiteSA, Kite Information and Technology Exchange Society of Americas, (founded in Venice, California). kiting-session lessons Kiting ever provides lessons to the observant and curious. (uncommon variant for "kytoon" which see. Also: cartoon that features kites Some kitoons: Here1 Kitoonist draws kitoons. kitoonist (one who draws cartoons depicting kites; cartoons as such are then kitoons (specialized kite-scene cartoons). Kitricity is fed into grids or storage systems; electricity consumers may buy electricity made by kites. Split electric bills might show: kWh from kitricity, kWh from coal or oil, kWh from hydro, kWh from conventional wind, etc. One might buy future kitricity. Kitricity credits might be brokered between energy brokers far from where the kitricity is produced; in such manner distribution need not be physical. kitricity production systems are kite energy systems that specialize in producing electricity as opposed to production of pumping or sawing or traction or sound or heat, etc. KitEye The Kiteye project is a project, conceived at the European Space Agency and it's purpose is to design and fly a high altitude kite which is able to break the world altitude record for a single kite on a single line. Design of an inflatable high altitude kite Author: J. Breukels Year? 2002? Further point for history: "If you allow me a little note on this point, I remember that I had proposed the name "kitegen" to Massimo Ippolito a few years ago. Before, he had called his idea "Kiwigen" ("KIte WInd GENerator) - which sounded like something made in New Zealand or sold in the vegetable market. Ippolito agreed with me and from then on we started using that name. At that time, Mr Fagiano and his coworkers at the Politecnico di Torino probably didn't even know that such a thing as AWE existed. "DISTINCTION: "The name “KiteGen” has been coined at Politecnico di Torino, well before the foundation of KiteGen Research s.r.l., and it has been the name of the first research project, funded by Regione Piemonte and coordinated by Politecnico di Torino, aimed to investigate high-altitude wind energy using power kites." Lorenzo Fagiano in his Ph.D. thesis, which see. Unit element kite in kite array (like a pixel of an image display) .. originated by Dave Santos of KiteLab Group used in a bit more narrow sense: AWES5662 Article development. "Klaus Hill designed and built a human-powered airplane before he died test flying another designer's powered ultralight in 1979." Source. KP kingpost. KP glider: hang glider that uses a kingpost. KPL http://www.aeros.com.ua/manuals/Kpl3-Combat-total.pdf Does that stand for not having a kingpost? "KingPostLess" wing without tower "King post less"
k Power, Inc. Found also as kPower. kWh kilowatt hour Notice: all multiplicative. (frequent confusion: per). kWh is an energy unit (not a power unit). The W is for power, but kWh is an energy unit. Consumers are charged for amount of energy consumed in a month, say. kytoon (variant found: kitoon ) kite+ balloon Kite system having a wing that is a balloon (HTA or LTA). The wing as balloon is shaped and bridled to effect a use of kiting principles for lift.